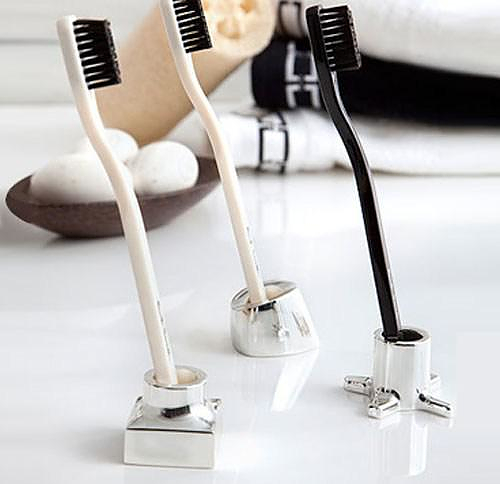 HomeBlogHome DecorKontextur VIKTOR Toothbrush / Razor Holders. 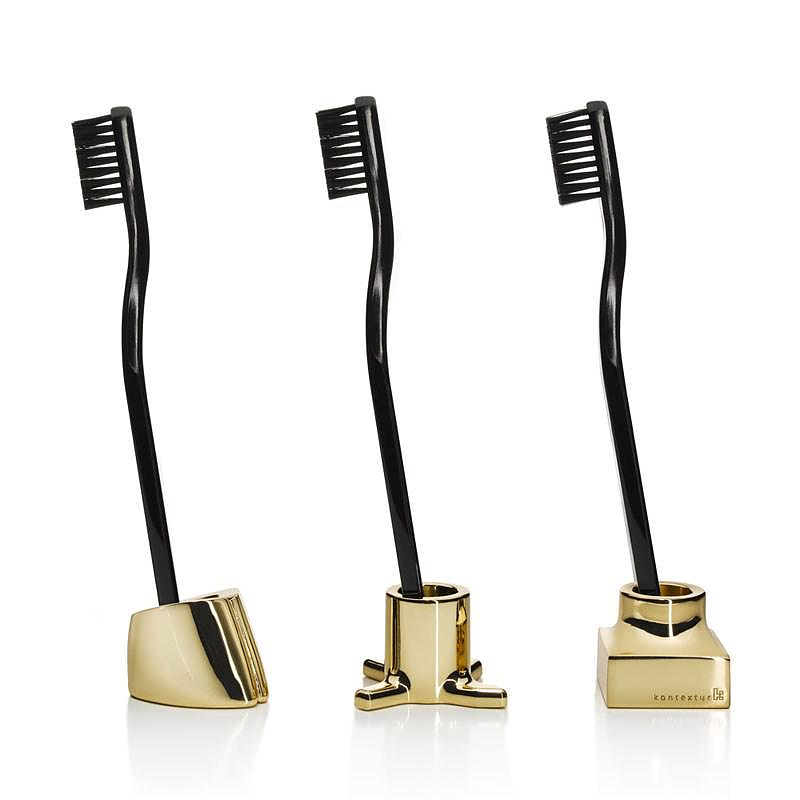 Never worry whether your new fancy toothbrush will fit in your holder, or whose brush is whose with the stunning looking Kontextur VIKTOR Toothbrush / Razor holders. The VIKTOR toothbrush / razor holders by New York-based Kontextur are defined by the core principals of “quality, innovation and functionality” with a particular focus on the curious and whimsical. 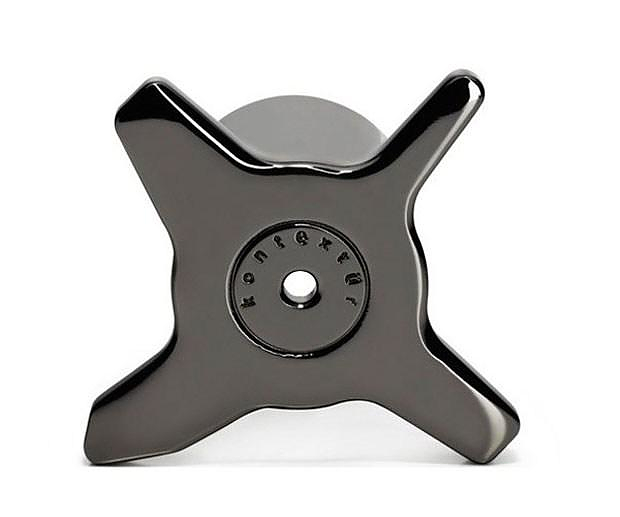 They were designed by New York City-based Icelandic designer Hlynur Atlason. 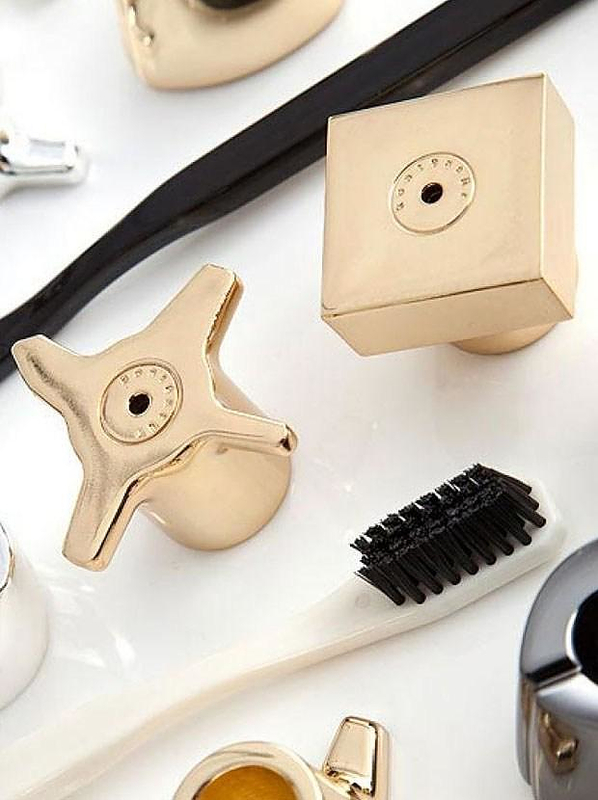 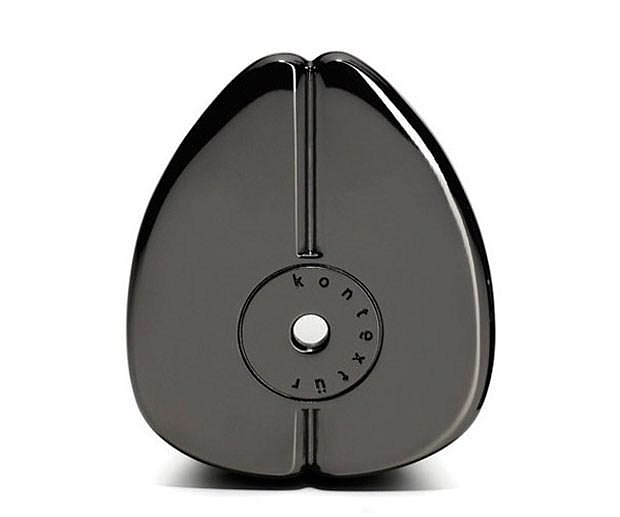 Made of solid metal the Kontextur VIKTOR Toothbrush / Razor Holders are heavy and nearly impossible to knock over, while their unusual yet stunning designs look awesome in any bathroom. 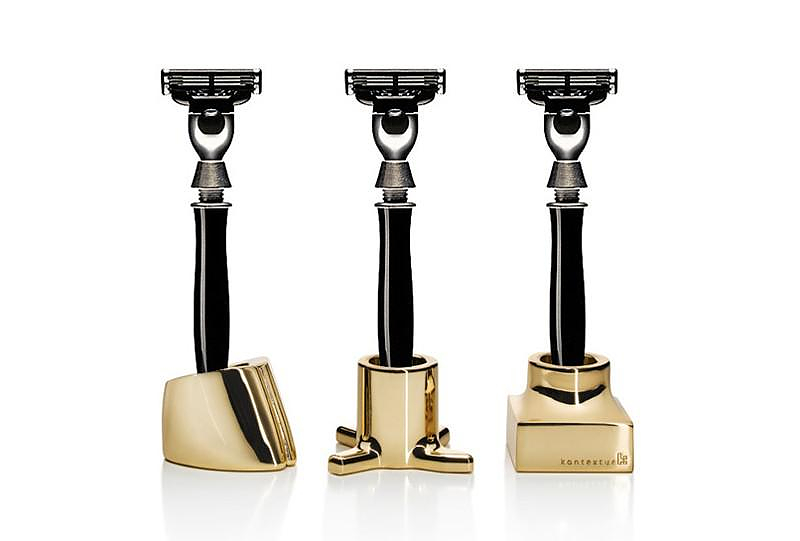 They come in sets of three and are available in 18k gold, black nickel and silver, so you can select the right scheme to fit your decor. 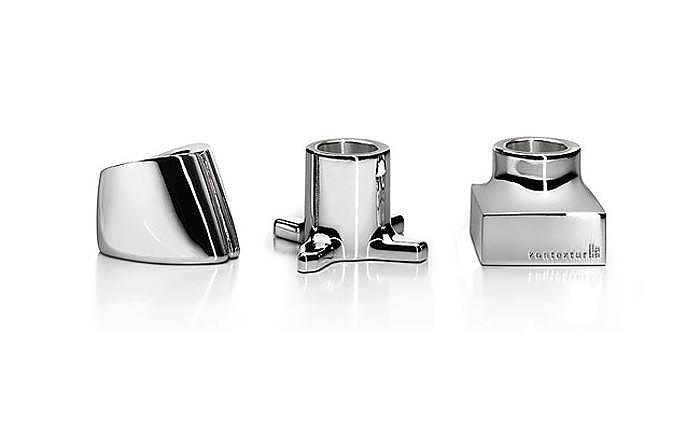 Even though they’re significantly smaller in size and their openings remarkably more shallow than those of traditional toothbrush holders, they are very sturdy and provide excellent support. 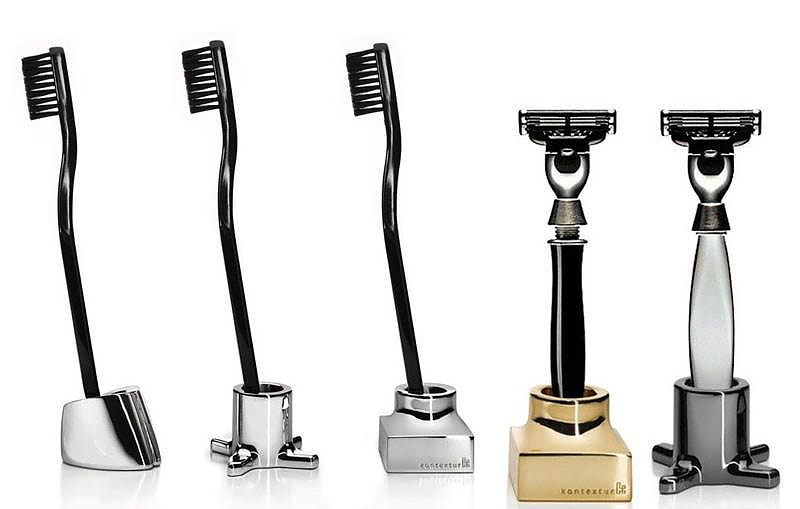 Each one of the three toothbrush/razor holders features a different sculptural design, im order to make it easier to pick out your toothbrush. 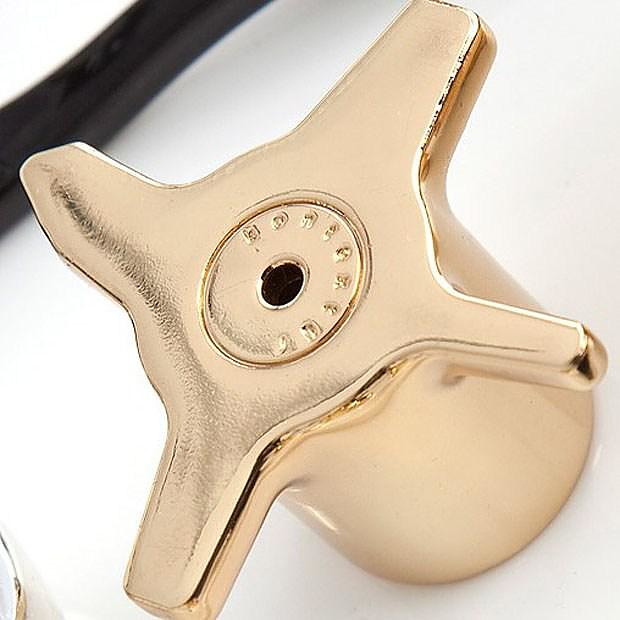 One is shaped like a concave cylinder, with four angular prongs that create a star-like shape along the base, the other has a square base with a perfectly circular opening positioned along the top, and the third boasts a fluid asymmetrical cylindrical shape. 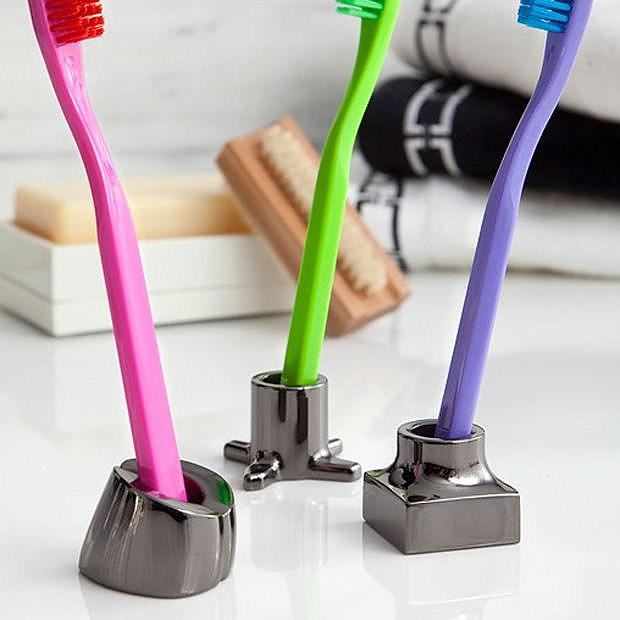 These toothbrush holders are not only interesting from a design perspective, they also have several functional benefits. 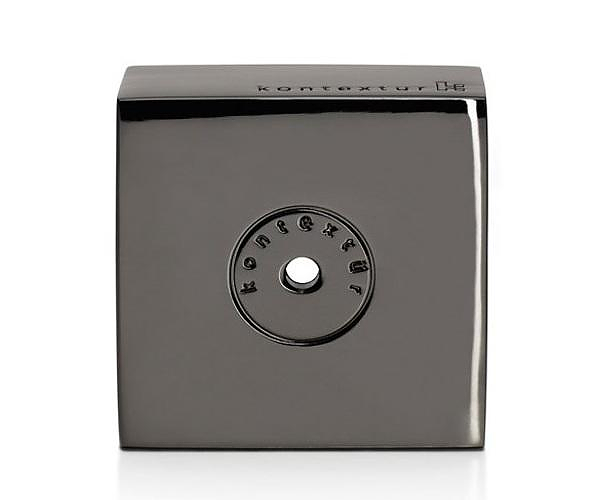 For one, they minimize bulk around the bathroom sink area (which tends to be quite overcrowded). 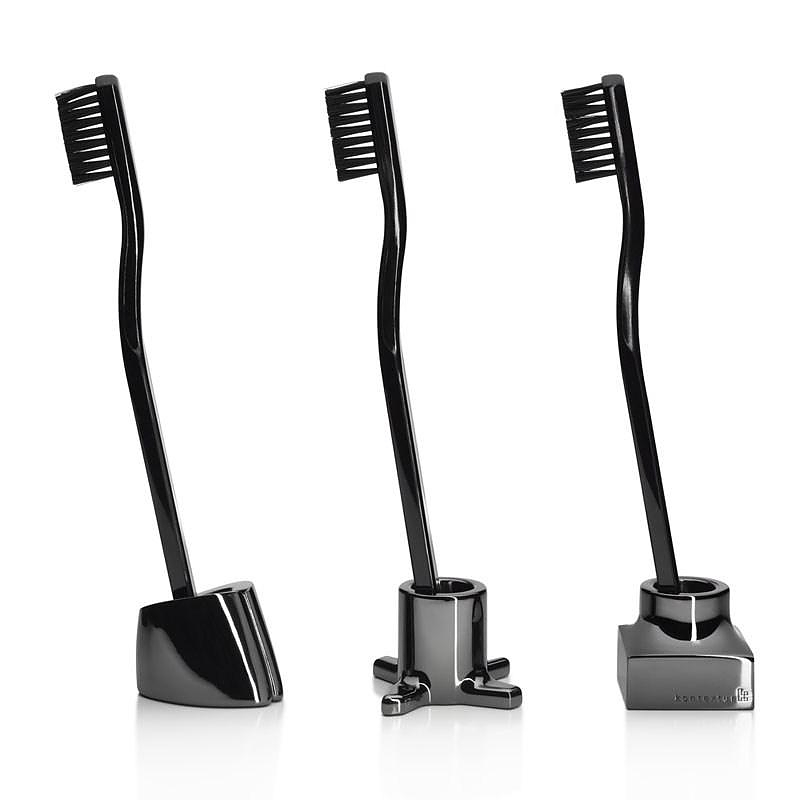 Plus, since they’re more compact both in terms of surface area covered and in terms of height, finally you don’t even have to worry about all the grime and muck that tends to gather in cup-shaped toothbrush holders. 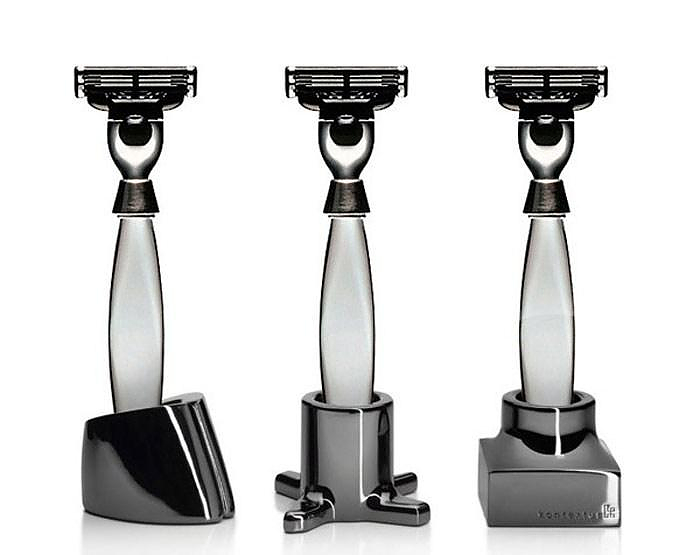 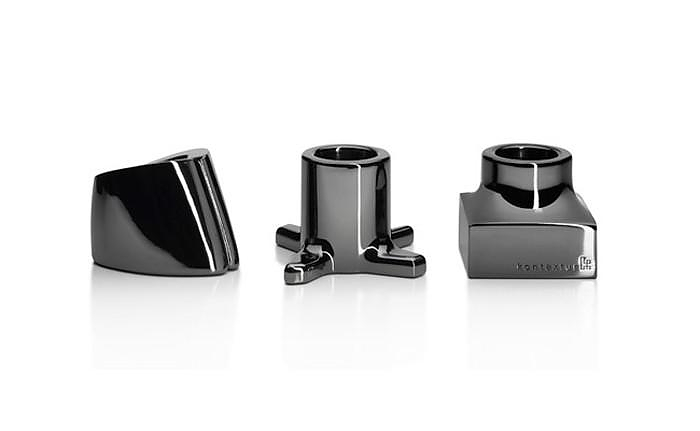 Each trio is a complete set, one for the toothbrush, one for the razor and if you are living by yourself, the third works perfect as a designer penholder on your desk.